We have decided to merge the GTS website with the Performance Audio website to offer all of our customers a broader range of products in one convenient location. GTS is now a part of the Performance Audio family and you can find all the people and gear you love in our new home here at the new and improved performanceaudio.com website. If you have any questions or concerns about General Theatrical Supply (GTS), please don't hesitate to contact us. 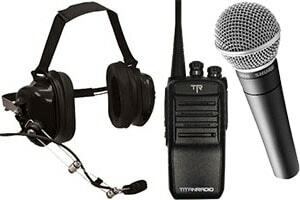 GTS prides itself in providing you with the highest quality customer service in the Stage and Cinema Industries. We have been serving customers since 1979 and our reputation has been based on our quality products, fast response, and customer care. We pledge to provide you with quality merchandise at a reasonable price and in a professional manner. 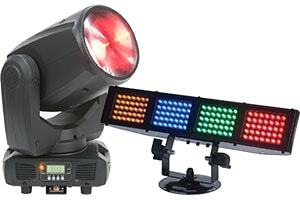 GTS is a supplier of stage lighting, lamps, dimming systems, automated lighting, rigging systems, fog machines, atmospheric effects, intercoms, paint and painting supplies, special effects, and stage hardware. We also supply and service a full line of digital and cinema products including 35mm parts and Digital Cinema installations and service. GTS prides itself on the level of quality of service that we provide to each of our customers. Every inquiry, pricing request, order, or return receives prompt, accurate attention from our professional staff. GTS offers consultation on lighting systems, stage curtains, drops, curtain track, special effects, theatrical designs, digital and 35mm cinema, and much more. We can assist in budgetary planning and organizing a plan for modernization of an existing system or specific the proper equipment to meet your needs while staying within your budget. GTS wants to be involved in our customers' quotation and competitive bidding processes. Our pricing is very competitive and we will make every effort to win your business and then back it up with our excellent service. 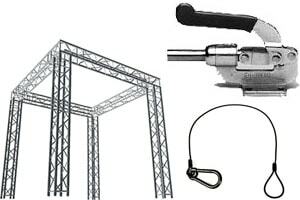 GTS offers a large selection of products for theatrical rental. 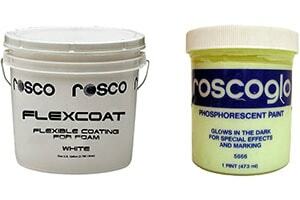 These products range from a single pattern holder to the complete lighting system for your production. Most of these items are UPS shippable and can be shipped anywhere in the contiguous United States at a reasonable freight cost.